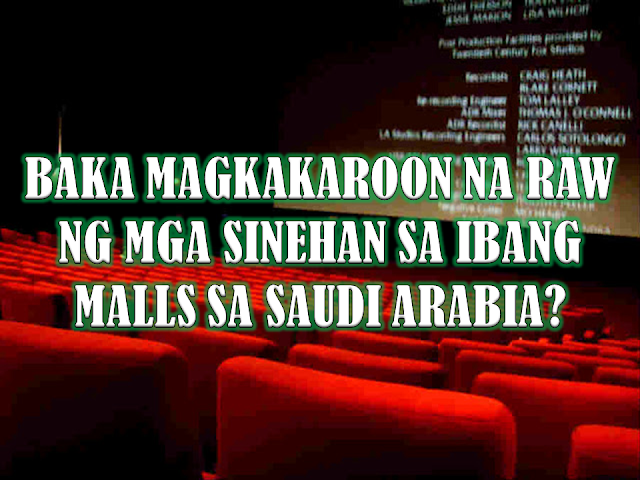 THOUGHTSKOTO Thoughtskoto : SAUDI ARABIA WILL HAVE MOVIE THEATERS AND CINEMA'S SOON? SAUDI ARABIA WILL HAVE MOVIE THEATERS AND CINEMA'S SOON? One of the largest mall operators in Saudi Arabia, the ARABIAN CENTRES, currently with 19 shopping centers in highly populated cities of Saudi Arabia like Riyadh, Jeddah, Dammam, Jubail, and Al Khobar and Dharan revealed according to news report that it's new mall under construction will allocate space for CINEMA. According to reports, 10 new malls are under development and will have space for movie theater and cinema's. Saudi Arabia's Vision 2030 program, an ambitious program that will sprint Saudi Arabia to the new heights and become globally competitive includes plan for entertainment and at some stage will issue entertainment licenses that will make cinema and movie theater legal across the country. Last January 30, 2017, a concert for public was held at Jeddah Saudi Arabia. Saudi Arabia's 'Paul McCartney' took to the stage as the kingdom seeks to boost entertainment despite religious warnings of 'depravity.' The performance was the first major concert in seven years in the kingdom's second city, according to Arab News. Al Salaam Mall is one of five Arabian Centres' properties in Jeddah. According to Al Jasser, they are working out for the permit of the cinema's and Al Salaam Mall in Jeddah is one of them. While the ultimate aim will be to operate the cinemas under its own company, Al Jasser concedes that Arabian Centres may have to bring in an existing cinema operator in the early stages. “All options are open, and at the minute we are getting our license. I’m sure there will be lots of options. We could do it in-house, but definitely we will need an expertise to do it in the first phase,” he says. While the licensing process is unchartered territory, Al Jasser is confident authorities will finalise it in the near future. “The government is very keen to do it and they have appointed a minister to run that [entertainment]. We are waiting for them to give us the green light,” he says. Al Jasser says there is undoubtedly a demand for cinemas in the kingdom. But Saudi Arabia's religious authority Grand Mufti Sheikh Abdulaziz Al al-Sheikh, says cinemas, song concerts are corrupting and harmful. 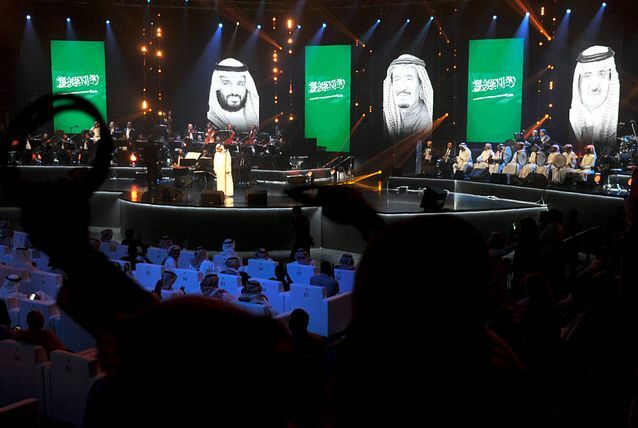 Cinemas and public concerts are already banned in the kingdom, but gov’t promised a shake-up of the cultural scene with a set of ‘Vision 2030’ reforms. The head of the government's General Authority for Entertainment, Amr al-Madani, stirred debate last week when he raised the possibility of opening cinemas and staging concerts this year. DUTERTE WARNING? Kill Criminal Cops One by One? VIDEO: Wrong Body Sent to OFW Family by Mistake? Do female workers need "menstrual leave?" UAE TO BUILD A CITY ON MARS BY 2117? What Is "Balik Pinas, Balik Hanap-Buhay" Program?